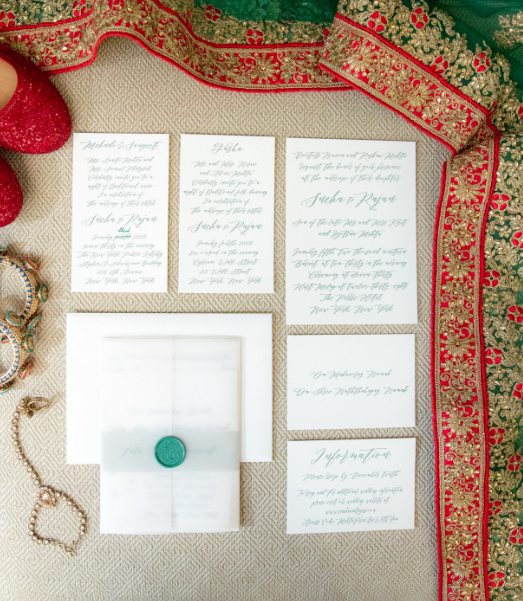 SJS REAL WEDDINGS - SNEHA AND RAJAN - Sonal J. Shah Event Consultants, LLC. 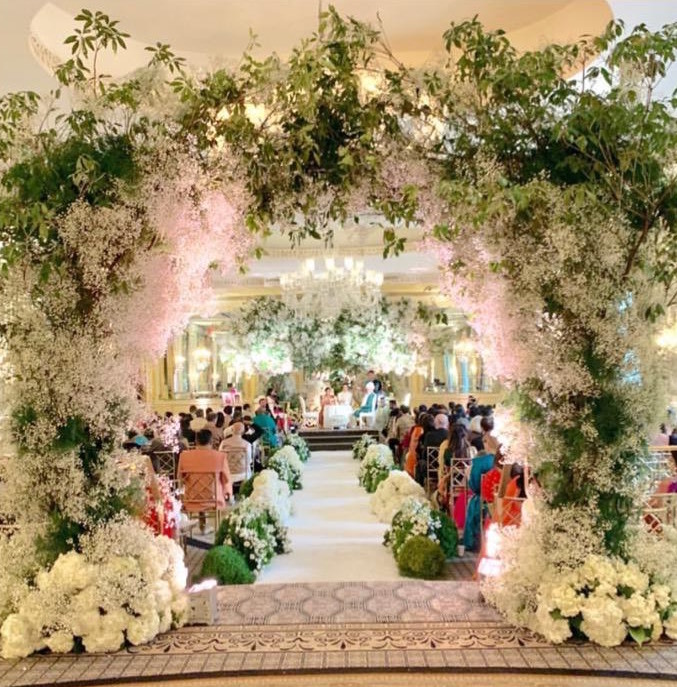 We couldn’t have asked for a better start to our 2019 than the INSANELY BEAUTIFUL #MehtaForceBeWithYou wedding week! 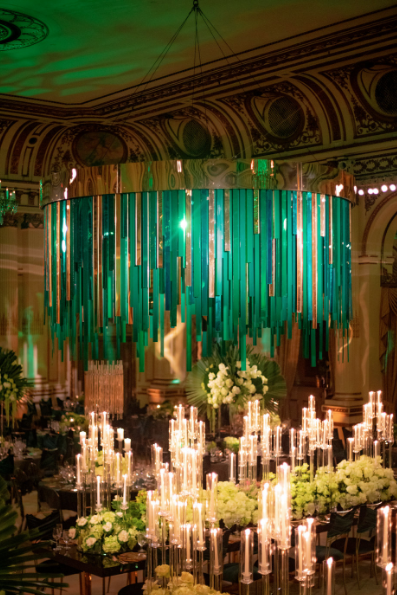 Words fall short to describe this three day mega celebration that the SJS team planned in just 4 months. 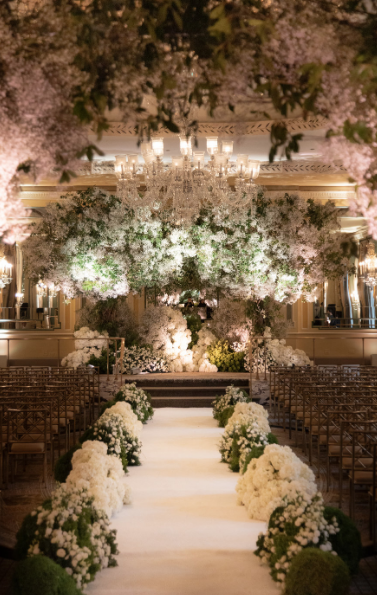 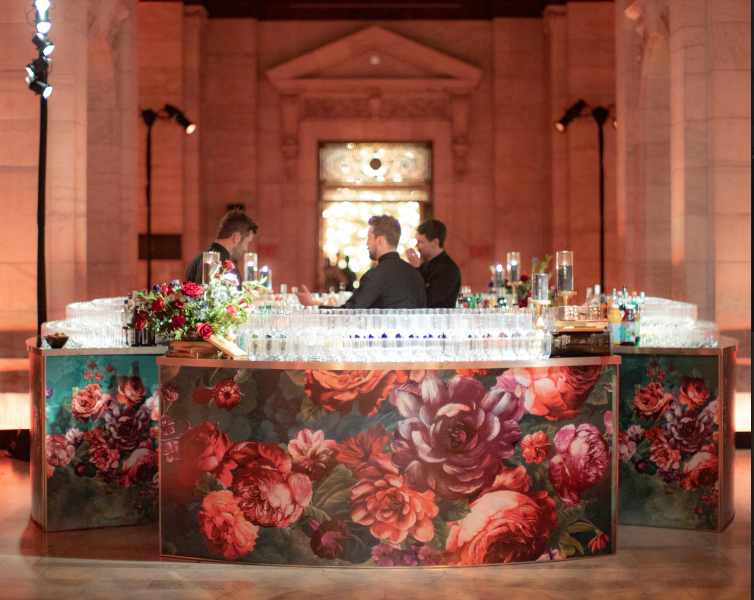 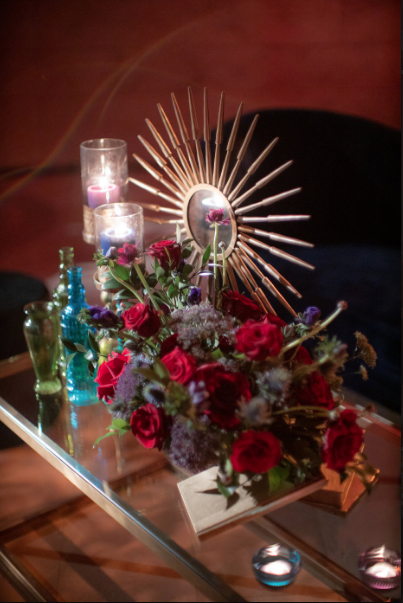 With more than 100 vendors involved, this wedding promises to be the show stopper for 2019! 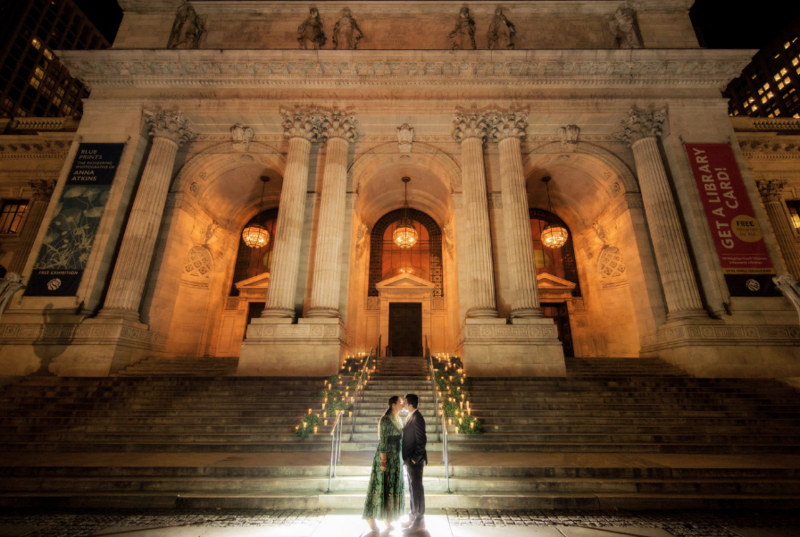 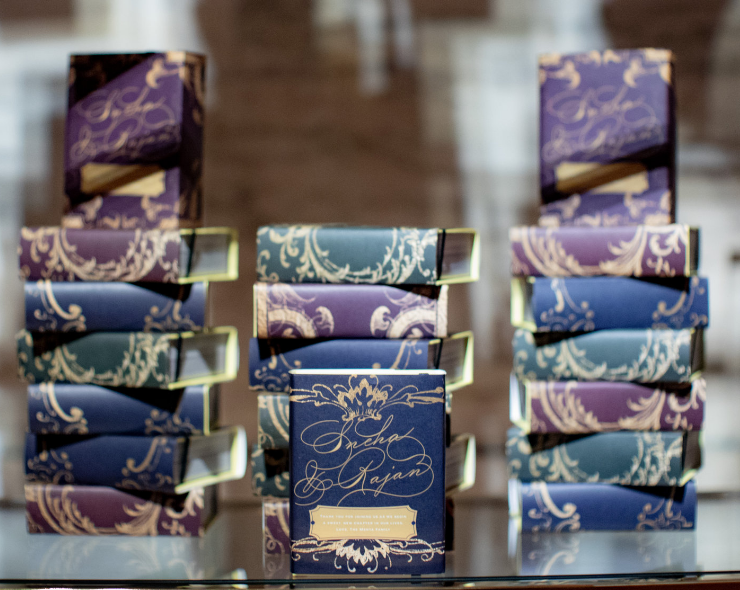 It all began with a Mehendi night at the iconic “New York Public Library” on 5th Avenue! 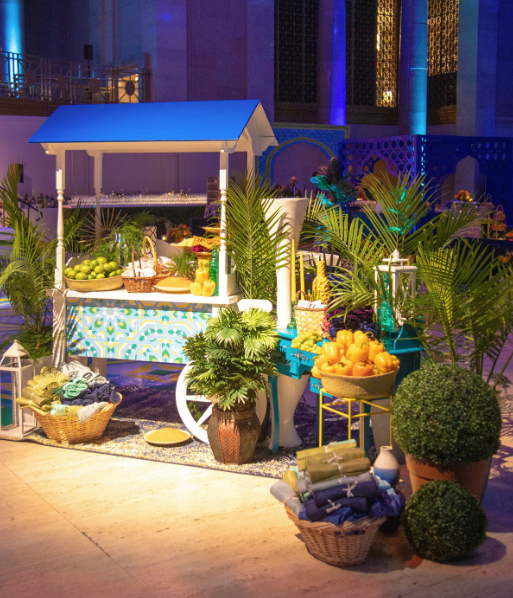 Mouth watering delicacies and beverages by the amazing team at Pinch Food Design, a jazz band and amazingly talented mehendi artists made sure that the guests had a great time all throughout. 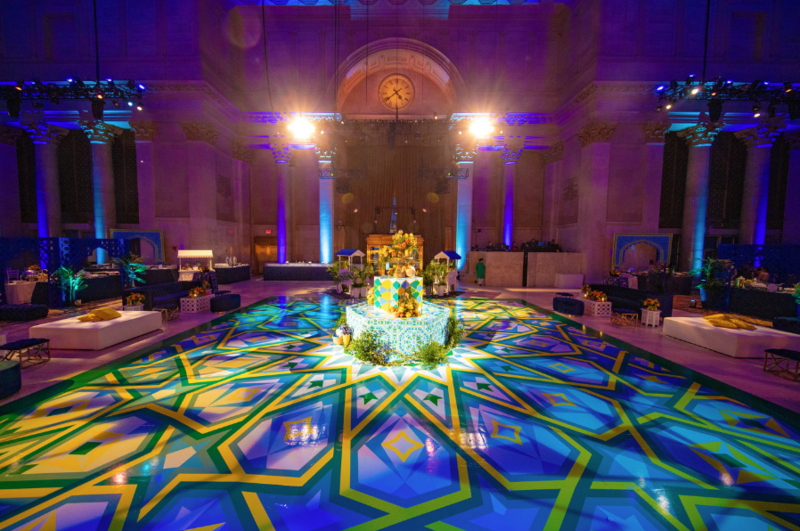 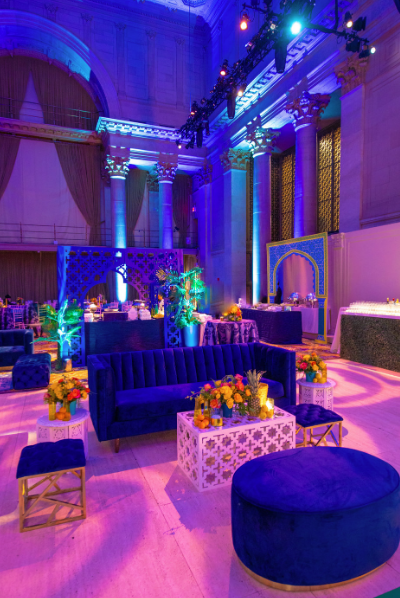 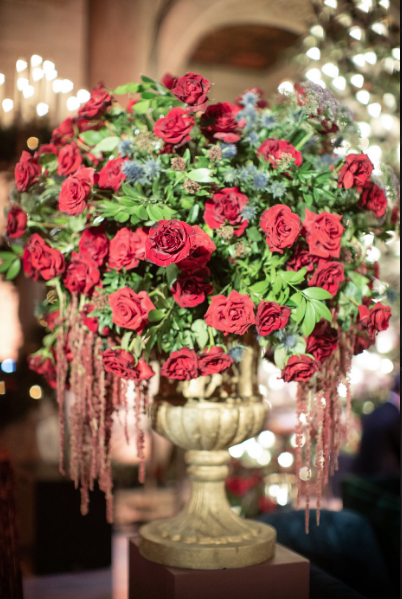 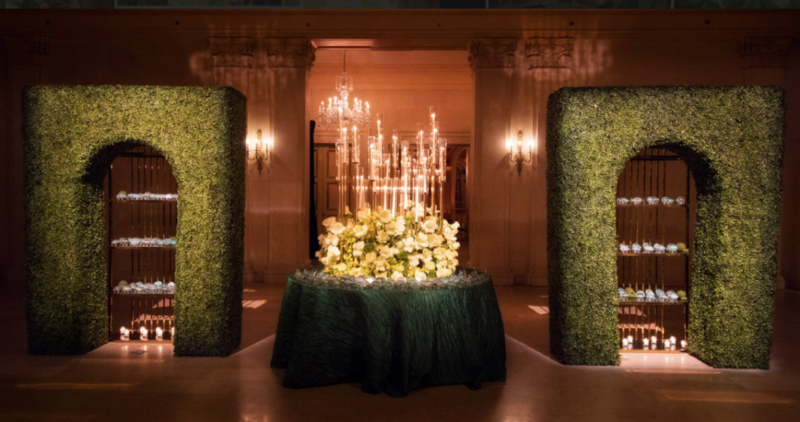 The garba night on the following day at the massive Cipriani Wall Street saw a Moroccan themed decor by the talented team at Design House Decor. 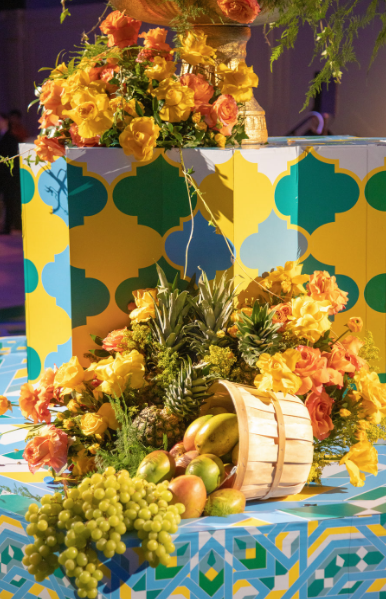 Accents of florals and fresh fruits cascading everywhere became the highlight for the night. 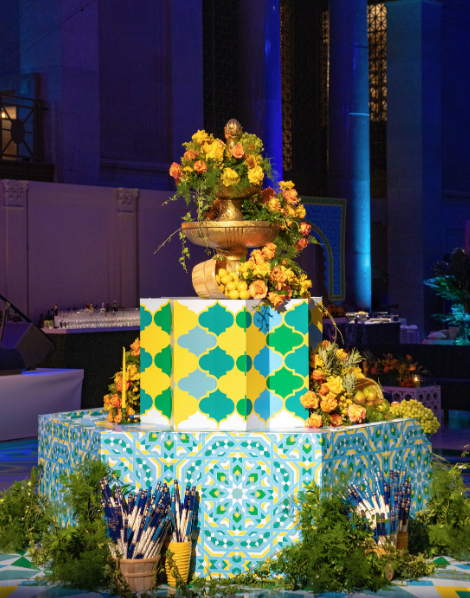 Guests immediately treated themselves to some scrumptious food by Chef Gaurav alongside french macarons from Woops and paan shots while enjoying the tunes of Garba and Raas! 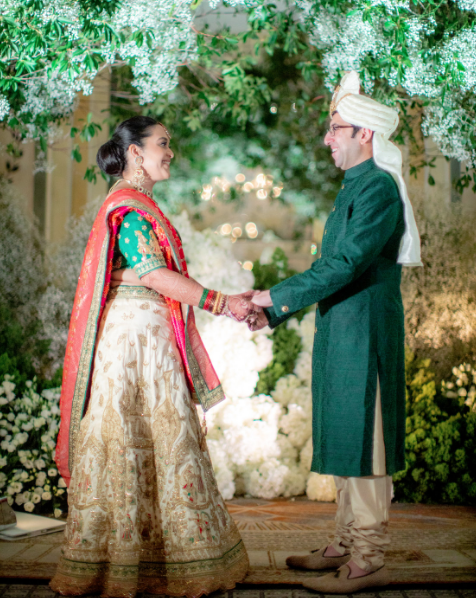 The wedding day saw our gorgeous bride look like a dream in a red, white and green traditional designer lehenga! 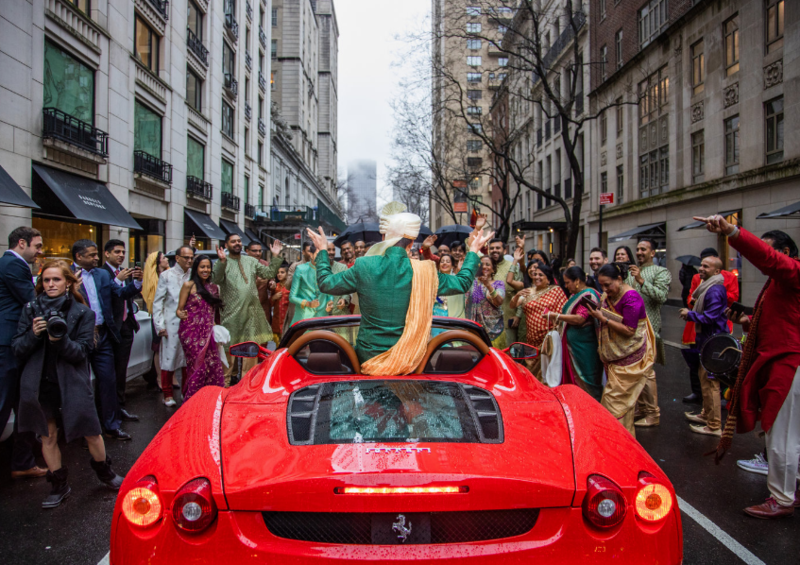 While the bride walked down the aisle with her uncles, our groom made a classy entry for the baraat in a bright red Ferrari! 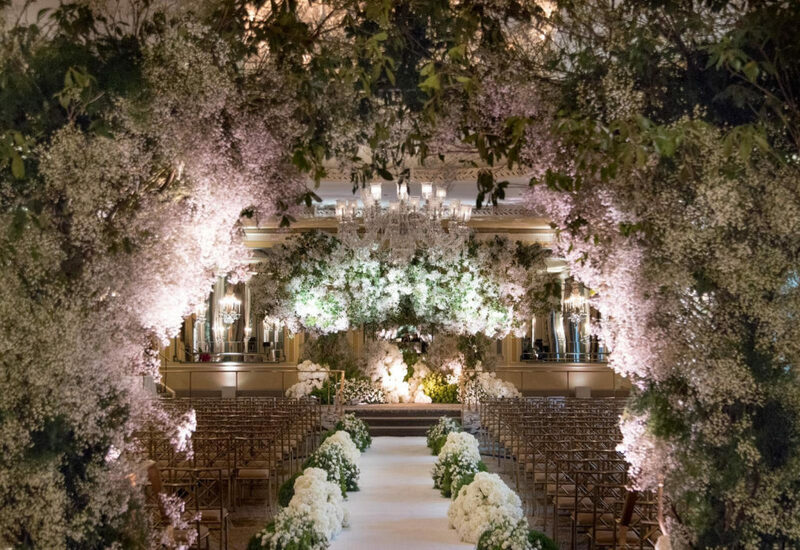 Finally, the reception took place! 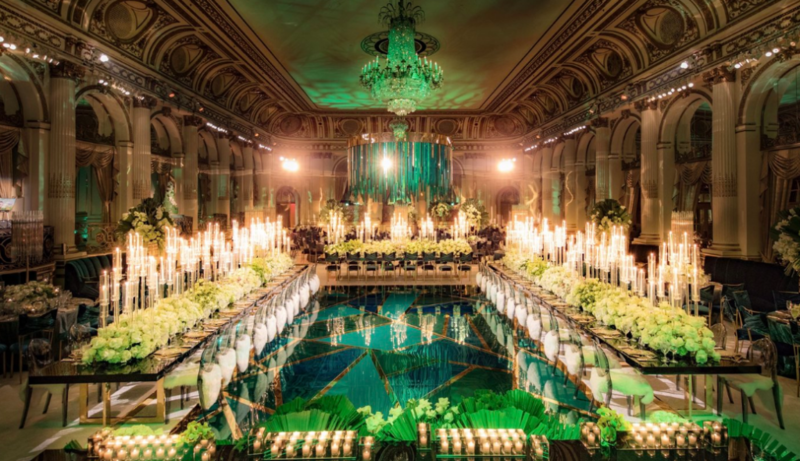 The ballroom at The Plaza was transformed like never before! 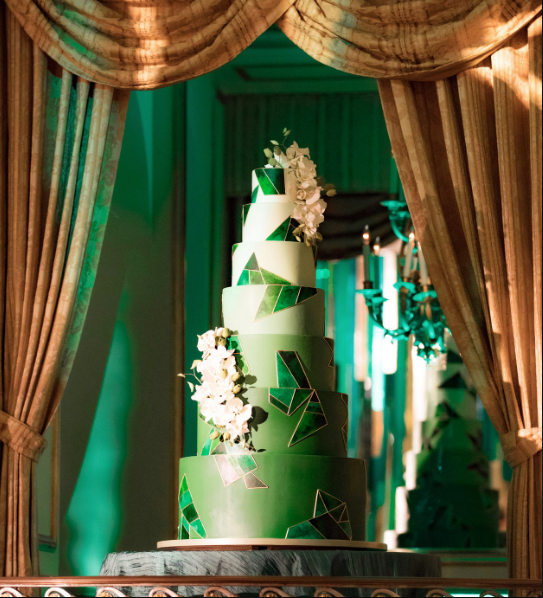 Eye-hopping “Emerald Green” themed decor, delicious food, interactive desserts by our favorite Leopard and Pear, molecular cocktails, nitrogen ice cream and an amazing amazing cake by our dear friend Ron Ben Israel were some of the jaw dropping moments for all guests for the evening! 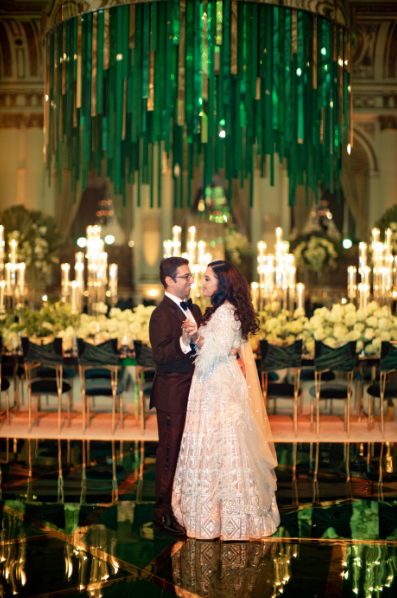 We couldn’t have asked for a more perfect ending to the #MehtaForceBeWithYou extravaganza than this! 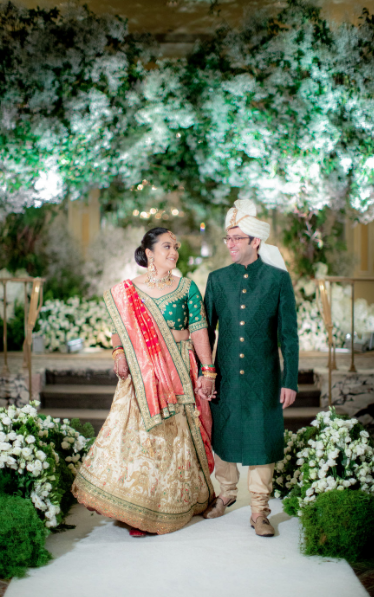 Our deepest gratitude to Mehta family for allowing us to serve them not once but twice in the last few months. 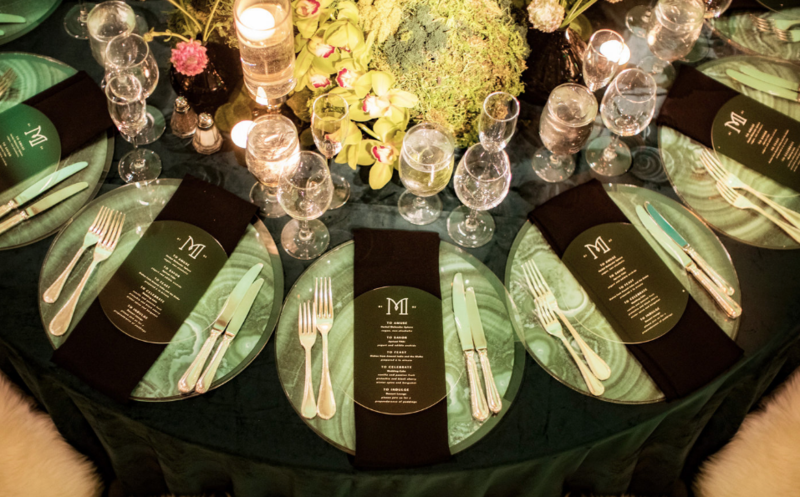 We are truly honored to have the best clients!